Project Underground is a source of interdisciplinary instructional activities, and its staff conducts workshops and in-service training programs. These materials and workshops are designed for classroom teachers, cavern, park, museum, and nature center staff, or any youth-oriented group leaders. 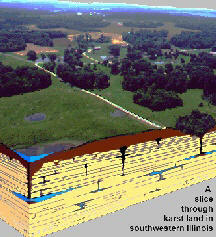 The purpose of Project Underground is to create and build awareness of and responsible attitudes toward karst, groundwater and cave resources and their management needs. The project is an environmental education program designed to promote better understanding of karst lands, groundwater in karst and caves. It is a supplemental program for use by educators of kindergarten through high school age students. Participants in Project Underground activities will gain an understanding of how the underground environment is an important part of the total environment. 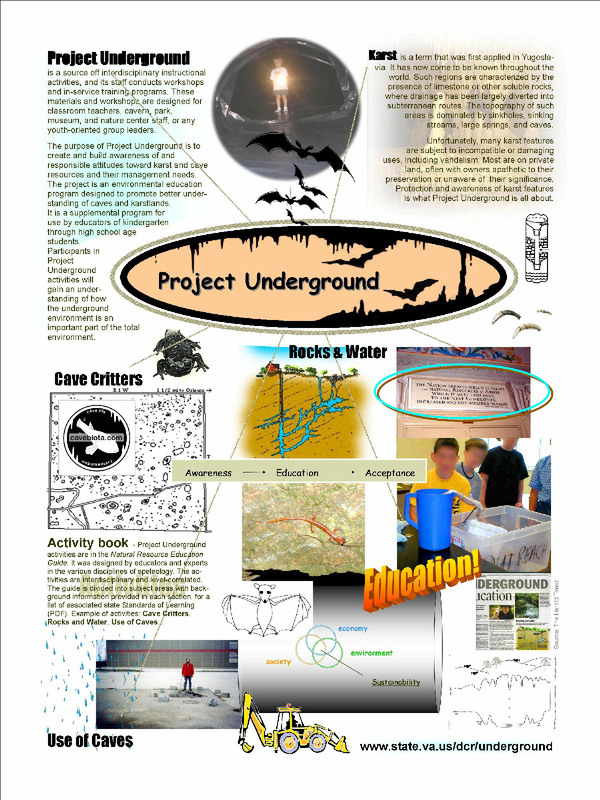 Project Underground activities are in the Natural Resource Education Guide. It was designed by educators and experts in the various disciplines of speleology. The activities are interdisciplinary and level-correlated. The guide is divided into subject areas with background information provided in each section. Project Underground materials are available through workshops held in your area. During these workshops, you will participate in hands-on activities, learn more about caves and karst ecology, and expand your knowledge and teaching skills. You will also meet and share ideas, information and resources with other professionals. Click here for sample exercise. Project Underground is based on the Training the Trainer model. Interested educators are trained to be certified workshops facilitators. You receive more in-depth information on caves and karst and the community issues surrounding them.